I have always loved music, so when I entered and met Sister Teresa Campbell at St. Joseph Convent, I was very interested. Sister Teresa’s father was a doctor and her mother was a teacher. With nine children, Mother made sure that everything was in order. Morning, noon and night, Mary practiced because Mother said so. She says she often wondered how her family could stand her, because they had to listen to her constant playing and had to go to every concert. She went to college and then to Boston for a Master’s degree in Fine Arts. Mary was going to be a concert pianist because that’s what Mother wanted. But Mary had other ideas and she had to make a big decision: whether to become a Sister of Charity or continue as Mother wanted. After much soul searching, Mary became a Sister. Sister Teresa taught school at Mount Saint Vincent Academy and other Halifax schools. 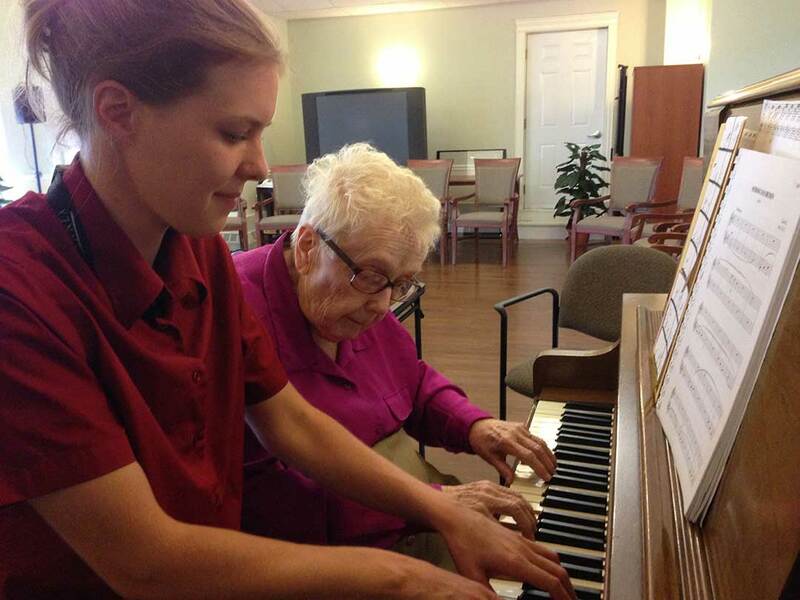 She began to teach piano to anyone who wanted to learn, and became well known all over Halifax. After retiring from teaching, Sister moved to our Motherhouse and then to Caritas, and continued teaching music to all who came. She also played in the chapel for Mass and for entertainment. She put on programs about great pianists like Mozart and Chopin, who inspired us with their struggles. Practice and hard work was the discipline she learned as a child. Now in poor health, she looks back and gives thanks for her mother in preparing her for the future. Sister Teresa still has music in her heart, as she continues on her journey.